BISHOP JOHN ARNOLD was born in Sheffield on 12th June 1953. He is a graduate of the University of Oxford, where he studied Law at Trinity College. He was called to the bar in the Middle Temple in 1976 after studying at the Council of Legal Education. After joining the novitiate of the Institute of Charity (Rosminians) and taking simple vows in 1978, he began his studies at the Gregorian University in Rome. In 1981, Bishop John transferred to the Archdiocese of Westminster, continuing his studies at the Venerable English College Rome, completing both a licence and a doctorate in Canon Law. John Arnold was ordained Deacon by Cardinal Basil Hume on 27th November 1982 and Priest on 16th July 1983, the Feast of Our Lady of Mount Carmel. He subsequently continued his studies in Rome, returning to Westminster to be appointed as a Chaplain at Westminster Cathedral, with responsibilities for the Westminster Hospital. In 1989, Father John was appointed Sub-Administrator of Westminster Cathedral serving in that role until 1993, when he was appointed as Parish Priest of Our Lady of Mount Carmel and St George in Enfield, serving also as Promoter of Justice. In 2001, Cardinal Cormac Murphy-O’Connor appointed Father John as Chancellor and Vicar General of the Archdiocese of Westminster, being named by Pope John Paul II as a Chaplain to the Papal Household in 2003. He was ordained Bishop on 2nd February 2006 and assigned the Titular See of Lindisfarne and appointed as an Auxiliary Bishop of the Archdiocese of Westminster. Other roles have included: assisting in the compilation of two books published by Cardinal Hume; “Light in the Lord” and “Towards a Civilisation of Love”. Having contributed to “AIDS: Meeting the Community Challenge”, he published “The Quality of Mercy, a fresh look at the Sacrament of Reconciliation” in 1993. Bishop John is a member of the Bishops’ Conference Department for International Affairs and Chair of CAFOD’s Board of Trustees. CAFOD is the Church’s official overseas Aid Development Charity and a Trustee of Caritas Social Action Network, which coordinates social action within the Catholic Church in England and Wales. 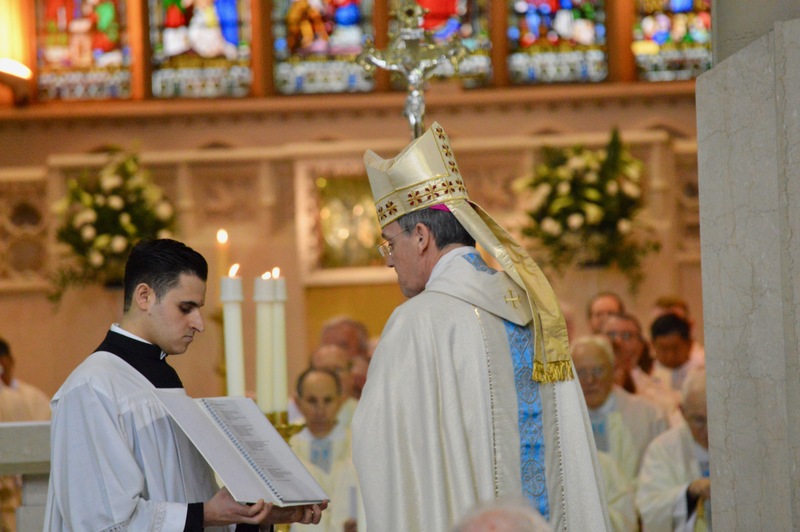 Pope Francis appointed Bishop John Arnold as the Bishop of Salford on Tuesday 30th September 2014.